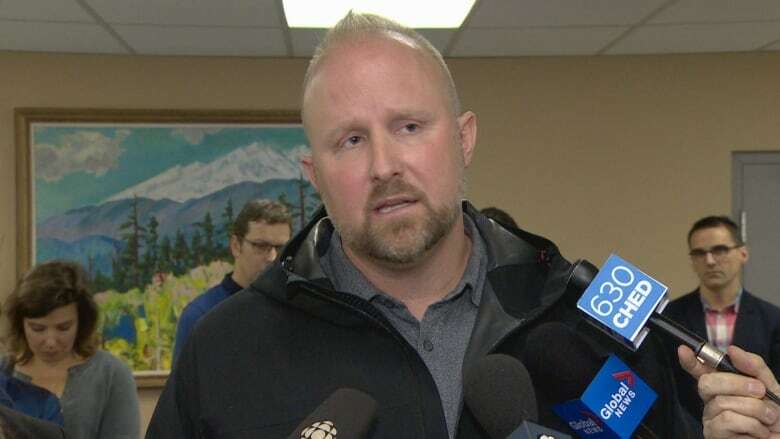 Seclusion rooms for students with disabilities should be regulated or banned from Alberta school, says an advocacy group for people with disabilities. 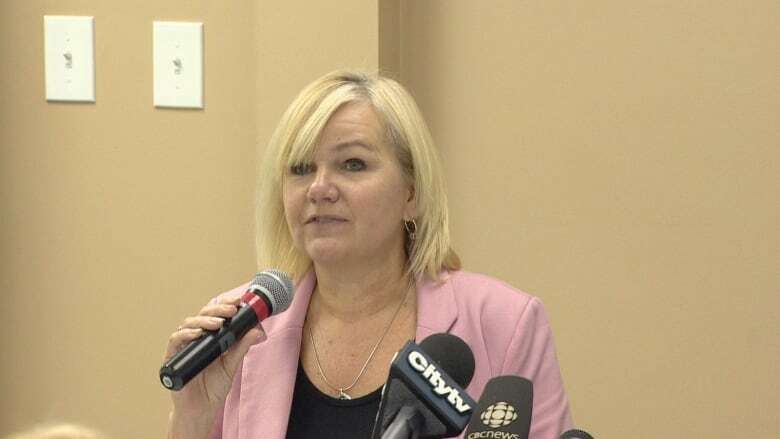 "Locking and leaving children with disabilities neglected and abandoned in seclusion or isolation rooms is a form of abuse and violence that needs to end immediately," Trish Bowman, CEO of Inclusion Alberta, said Friday at a news conference. The organization has launched an online survey to identify families affected by schools that use seclusion rooms or restraints. Isolation rooms should be banned from schools, says Trish Bowman, CEO of Inclusion Alberta. (CBC)"We don't have any idea how many of these rooms there are, how often they're being used, for how long children are being held in these rooms," Bowman said. There are no requirements for schools to keep records of how and why the rooms are used, she said. "I think it is reasonably prevalent," said Bowman. "We are seeing more families telling us stories of their sons and daughters being put in these rooms." The call for a review follows a lawsuit launched last year by the parents of a Sherwood Park boy, who claim their autistic son was stripped naked and locked in a school isolation room, where he was later found covered in his own feces. The incident happened in 2015. The 12-year-old was a Grade 8 student in the practical learning and community education program at Clover Bar Junior High School in Sherwood Park. "I'm shocked it has taken this to get any sort of traction," said Warren Henschel, father of the boy named in the lawsuit. "It really comes down to the humane way of doing things," he said. "More often than not, things can be dealt with in a preventative manner." Henschel said he understands the need to keep staff members safe. But other than a "power struggle" to put a child in his place, he said, there's no reason to use isolation rooms. The rooms should not be used as a last resort, Henschel said. Rather, a call to a caregiver or parent to take the child home should be the last resort, he said. "The trauma that is associated with this is immense," Henschel said. Bowman wants schools to be required to keep data on why and how often the rooms are used, and how long children are kept inside. The survey of parents by Inclusion Alberta will offer better insight into the issue, Henschel said. Education Minister David Eggen has promised "as soon as possible" to convene a working group of parents, teachers and advocates to develop a new set of guidelines for Alberta schools. "I'm very concerned with this situation," Eggen said Thursday in an emailed statement. "Seclusion rooms should only be used as a last resort." Thirty-six Edmonton public schools have behaviour and learning assistance programs, and most of those programs included what the board calls "time-out spaces," a spokesperson for Edmonton Public Schools said Friday in an emailed statement. 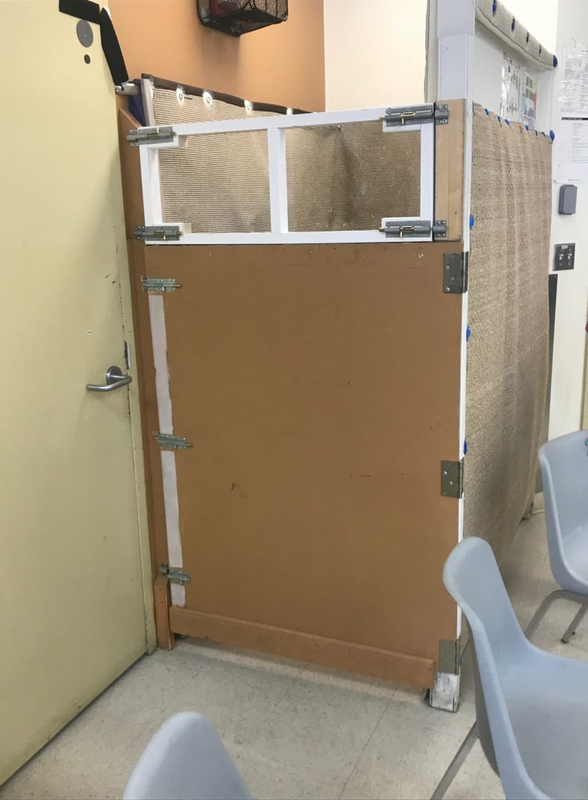 "Time-out spaces are used as a last resort intervention for students whose behaviour puts their own safety, the safety of other students and/or staff at risk," the statement said. "This behaviour can include punching, kicking, biting, spitting and throwing furniture. "The purpose of a time-out space is to give the student a chance to regain control of their emotions and actions in a safe environment. Time-out spaces do not lock and are monitored at all times." Parents who have concerns about their children and the use of time-out spaces should talk to their school principals, particularly if their children have individualized behaviour support plans, the statement said. One Catholic school in Edmonton has two seclusion rooms, Edmonton Catholic Schools spokesperson Lori Nagy said in an emailed statement. The other 95 schools in the Catholic system don't have them, Nagy said.